Before I begin with the look, let me tell you about the inspiration and thought behind it. Mrs. Kavita Shanbhag, is a dear friend's Mum, a close family-friend and one of the sweetest, most coolest Pacchis I know (Pacchi is 'Konkani' for Aunt, sorry I have a habit of anglicizing everything!). She's an absolute darling and will always greet you with the sweetest smile and the biggest hug. Even though she's one busy woman, she will exactly remember what was happening with you the last time and check up on you. Having said that, the most strongest aspect of her personality and what I admire about her, is her passion to empower Children with Special abilities. She's the Founder of CHILDRAISE, which is a Cross-Disability Organization committed to the Empowerment of Children with Special needs and Disability Issues. (FB Page - https://www.facebook.com/childraise?ref=br_tf). I wished to show my support for her resolve and absolute dedication to the cause. 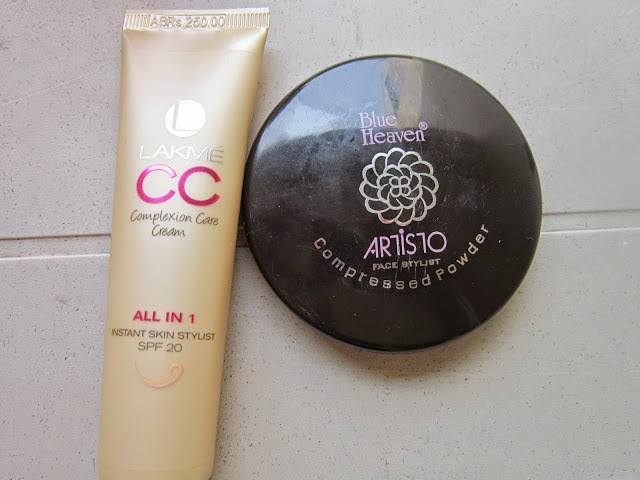 Base- I used the Lakme CC cream as a base on my face, concentrating on the areas that needed more coverage. I topped that off with the Blue Heaven Artisto Face Stylist Compressed Powder. 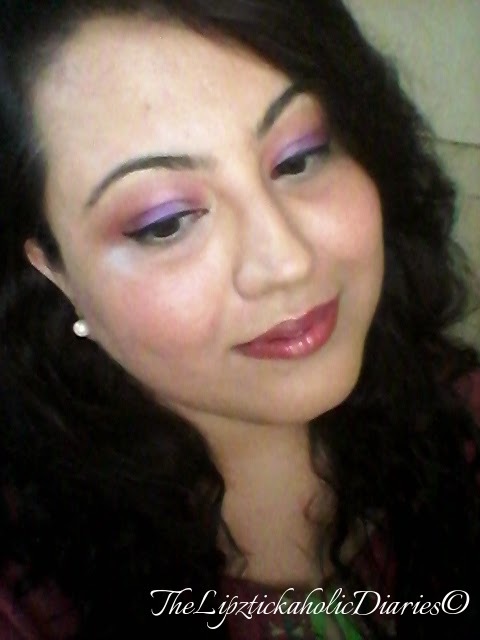 Eyes- I used a Lakme Absolute Plump and Shine lipgloss (that I dont use on my lips), as my eyeshadow primer. It helps the eyeshadow last longer. 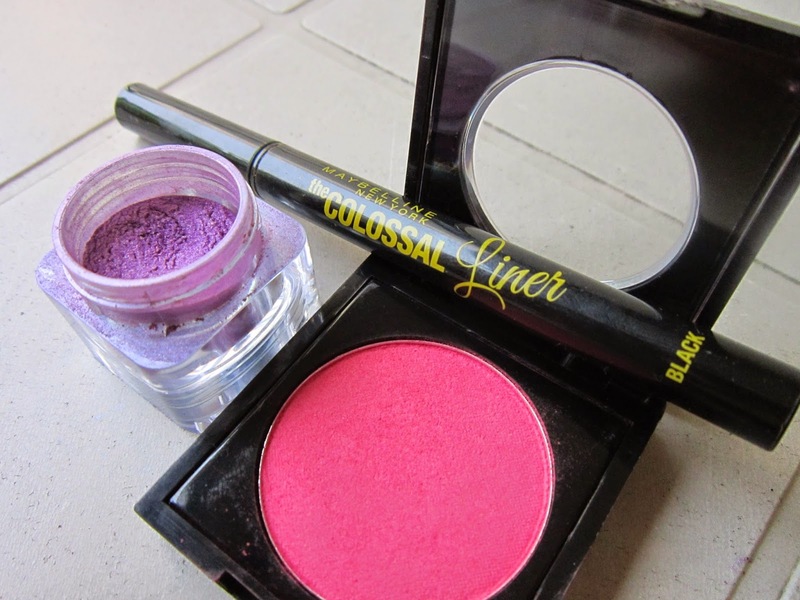 (Read how to use lipgloss as eyeshadow primer - Here). 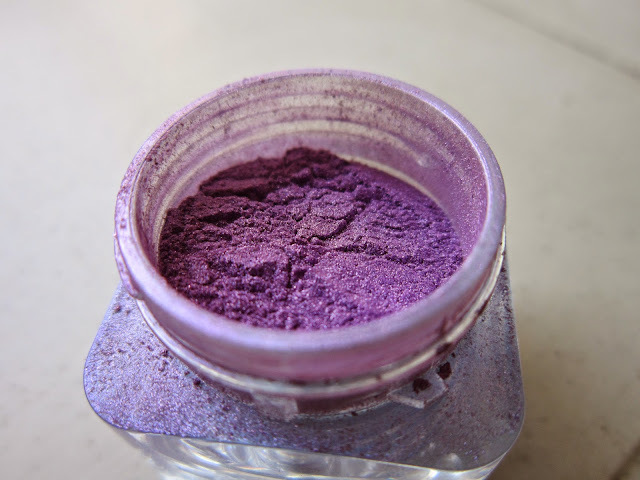 On top of that, I patted the Faces Canada Sparkle Dust in Purple all over the eyelid. 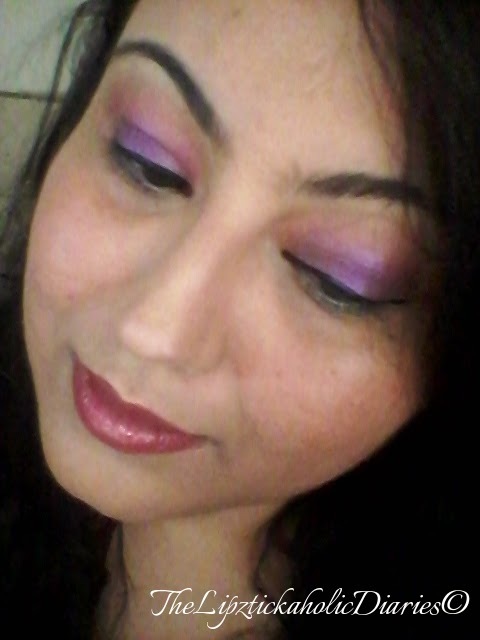 To blend this in, I used the MakeUp Academy blush in Blushing Coral Shade 5, as a crease color (You can use any crease colour to blend this in, I wanted the Purple to stand out, so I used Pink). I finished the eyes, with a winged liner which I created using the Maybelline Colossal Liner. Lips- Since the eyes were to be kept in focus in this look, I kept it simple with a lipgloss that has a soft rose tint to it. 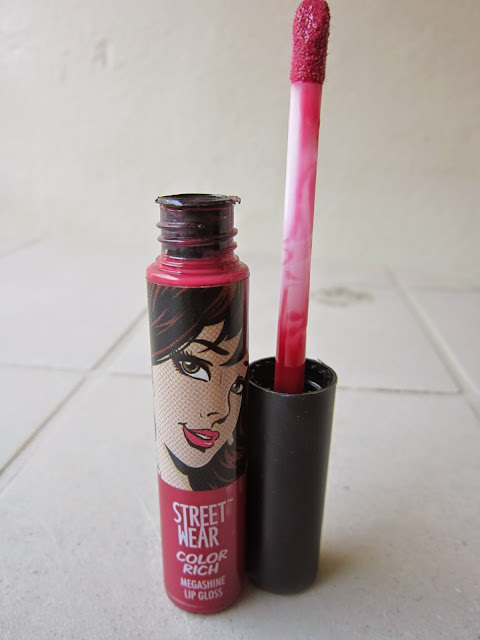 For this, I used the Streetwear ColorRich lipgloss in No.6 - Party Melon. 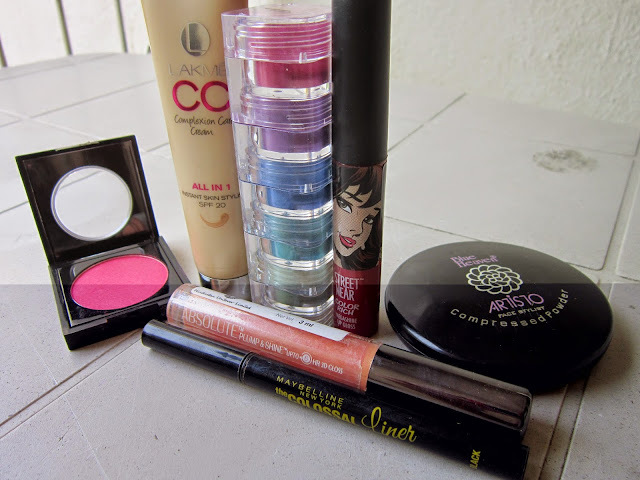 Although, these might seem like too many products, but they just go on, one after the other to create a simple, bright and summery look! Maybelline ColorShow nail colour in 'Lavender Lies' or 'BlackCurrant Pop' on your nails. Have fun! Be Strong! WEAR PURPLE TODAY FOR EPILEPSY!!! Beautiful look Neha 👌 Definitely wearing purple for epilepsy today.